Smartphones are a part of everyday life, and they can tell investigators a lot about the actions of both suspects and victims, leading up to the event being investigated. Simply having the details of an individual in the contact list may be enough to disprove the claim that “I never knew them”, and having the number in the call records or the texting data is proof that contact has been made between two individuals. Conveniently, these artefacts are time-stamped, and may be cross-referenced to cell tower records, allowing an investigator to determine the area where a communication took place. Other data on smartphones may be even more precise – for example, photos are geotagged, pinpointing the time and the place at which the phone was used and destroying alibis. Aware of these facts, those who wish to hide certain data, for example, text messages that threaten violence which might be used as evidence of intent in a criminal trial, or compromising text messages to a co-respondent in divorce proceedings, will often delete these artefacts, assuming that their secrets are now lost for ever. This, unhappily for them, is not the case. Just as files that have been supposedly deleted from a computer can often be reconstructed and read by investigators, so can the data from mobile phones. Using specialist tools, the contents of a phone’s memory, including those items supposedly safe from prying eyes, can be easily examined. Even the contents of phones which are believed to be unreadable, having been dropped in water, smashed with hammers, and so on, can sometimes be extracted, much to the discomfiture of those involved. 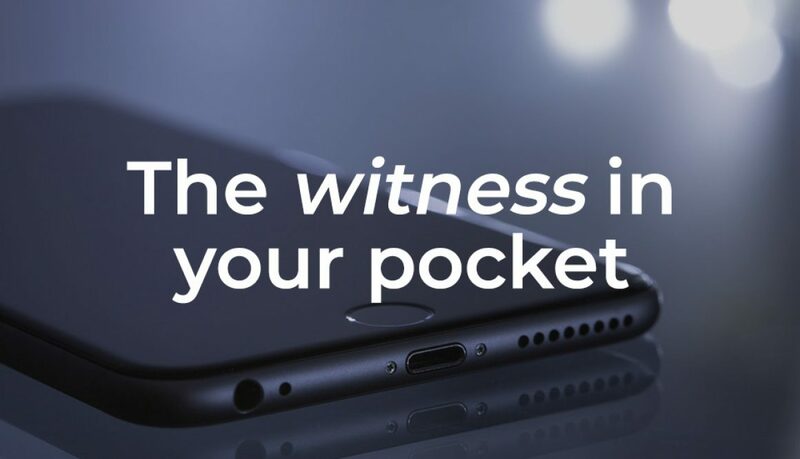 First Response offers a service to clients where mobile device data is to be extracted and analysed prior to a court-ready report being provided. Whether the case involves criminal activity, including indecent images or fraud and embezzlement, or a family case such as divorce or custody, our specialists are able to act promptly on court orders to seize suspect devices. In defence cases, thanks to our long experience in such matters, we are often able to produce evidence that the prosecution may have failed to consider when bringing the case, sometimes dismissing the case altogether. Clients of Canada’s largest crypto currency exchange, QuadrigaCX, found themselves locked out of most of the £145 million worth of their assets. The founder, Gerald Cotten, said to be the only person with knowledge of the password to the ‘cold storage’ area is apparently dead, having passed away in India in December 2018. The cause being given is complications with Crohn’s disease, which occurred while he was helping to set up an orphanage. According to Cotten’s widow, even a technical expert has been unable to recover the password, and hence unlock the millions of crypto-coins, largely variants of Bitcoin, in the exchange’s cold storage. This is not the first controversy linked to QuadrigaCX. Earlier in 2018, some irregularities associated with a payment processor were reported, with $26 million in assets frozen by a bank while these irregularities were resolved. Partly as a result of this earlier controversy, some, including rival exchanges, have cast doubt on the veracity of reports of Cotten’s death. Movement in and out of QuadrigaCX accounts has allegedly been detected, though it is unclear as to whether this involves cold storage or ‘hot wallets’. One expert on applied cryptography, Peter Todd, says that “The people trying to pull off a QuadrigaCX exit scam could actually be the family and other employees, by hiding the fact that the cold wallet keys are known”, without claiming that this is actually the case. The owner of another crypto exchange calls the reports of the death and lost keys “bizarre, and frankly unbelievable”. Other than the fact that cryptocurrencies and their infrastructure are still very much the Wild West in legal terms, there are a couple of important lessons here. Firstly, cryptography is a two-edged sword. The state of the art in today’s cryptography is such that it is impossible in practical terms to break the encryption if set up correctly. 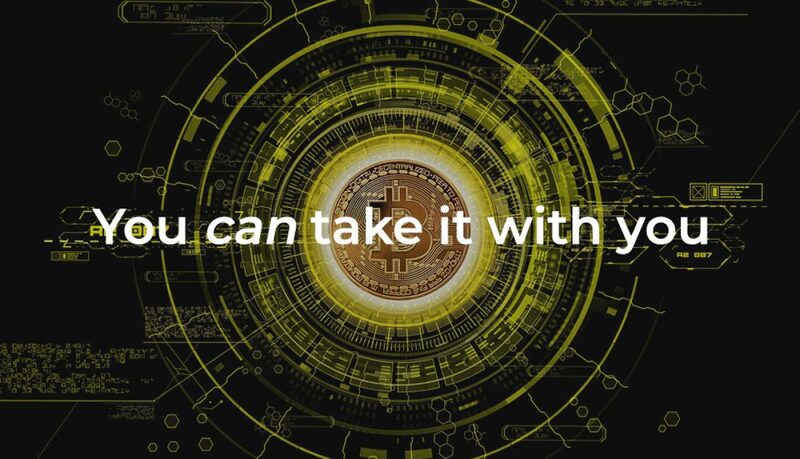 While it is useful for keeping those secrets that you wish to remain hidden, it can also be abused – either by ransomware bandits, who can encrypt your data so that it becomes inaccessible, or used as an excuse for not coming up with the goods – be they bitcoins or other digital assets. Secondly, and related to the above, a valuable piece of information, such as a key to unlock a digital vault, is too important to be held by one person. On a personal level, it is now possible to create a ‘digital will’ which is the IT equivalent of the envelope marked “To be opened in the event of my death” so beloved of mystery writers. 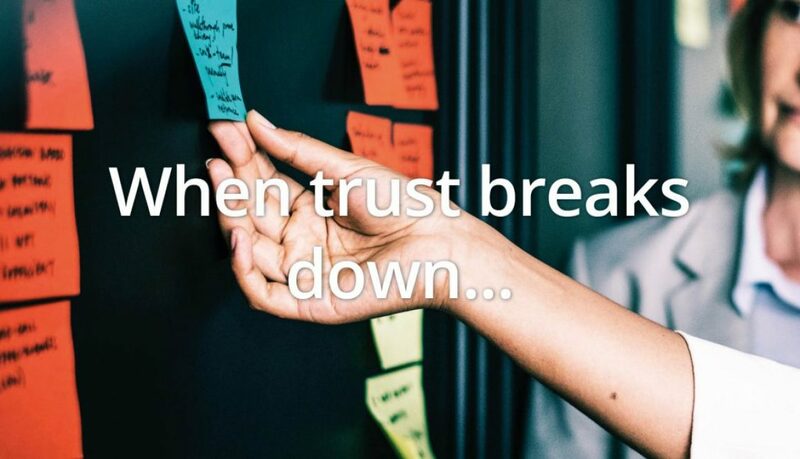 At an organisational level, a dependency on confidential information being held by one person requires a fall-back in the event of that person being unavailable. It doesn’t have to be as dramatic as death – a system administrator on an off-grid holiday somewhere in the wilds of the Welsh mountains may be a fatal blow to business continuity if the timing is wrong. Obviously, in the case above, there is a fundamental structural issue with this organisation’s password policy This can be avoided through the use of secret sharing, whereby more than one person is needed to unlock a vault, open a file, or otherwise gain access to secured information. 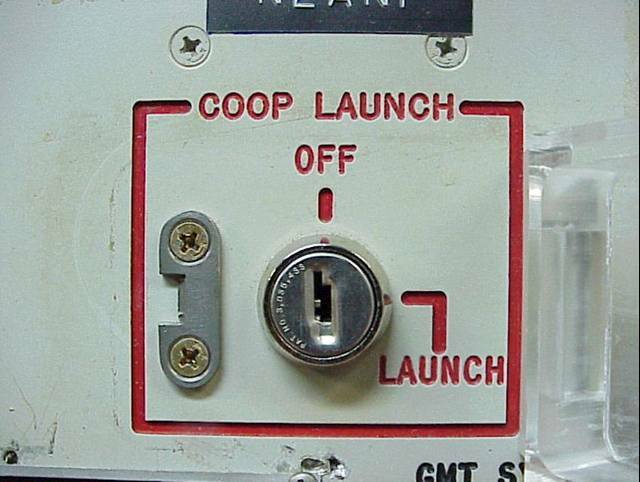 At its simplest, this is analogous to the famous launch control systems used in nuclear missile silos during the Cold War – a launch can only be initiated by two keys being turned simultaneously in two locks, spaced so far apart that a single operator cannot perform this – in other words, two people have to simultaneously give their consent to launch. In multi-signature terminology, this protocol would be a 2-of-2 configuration. Two keys are available, and two are needed to unlock. These two keys might be held on separate devices – a PC and a mobile phone, for example, or they might be known to two different people. The concept could be taken further – a 2-of-3 configuration might require two keys from a pool of three to unlock the vault, so our Welsh wanderer’s key, though unavailable, becomes redundant, and could be replaced by the keys held by the CEO and CIO. A 3-of-5 configuration might be implemented to provide a majority voting solution to access jointly-held funds, etc. There are clearly many possibilities here. Back to Canada and QuadrigaCX – Cotten claimed earlier in 2018 that the exchange had implemented multi-signature technology for its cold storage of crypto coins. Given the current situation, that claim – or the report of Cotten’s death – now seems suspicious, unless the multi-signature was one requiring a unanimous vote. At First Response, password security is something we take very seriously. If passwords are poorly managed or carelessly stored, become the easiest way for your organisation’s networks to be compromised and taken over. A network’s password system is more than just access to computers. It also comprises switches, routers, dedicated network appliances and the like, as well as Active Directory and Office365 administration passwords – all of which may be reprogrammed by an attacker who has used a compromised weak password to gain administrative rights over your resources, thereby causing damage to your business or operations. Often, the attacker exploits a weakness in procedures, rather than technology; for example, the use of identical, or near-identical, passwords for different devices, or password sharing by admin teams. We can assist with best password practices, and help you set up a password vault system, tailored to your individual needs which provides security from attacks launched from both inside and outside your organisation, while at the same time providing failsafe and controlled access in cases where the primary key-holder is unavailable. Call us for details of how we can help to solve password-related issues – before they become a crippling problem. Troy, 1200BCE (give or take a year). The Greeks have left their camp outside the walls, and in their place is a large wooden horse. Ignoring the cowardly sceptics, the Trojans open the gates, drag this thing inside the city and close and bar the gates. Then it’s party time. Of course, we know what happens next. The horse is full of an advance guard of Greeks, who let themselves out when the party’s at its height, open the gates to the main Greek army and… No more Troy. The term ‘Trojan horse’ has its place in computer security, as you probably know. An innocuous piece of data or software that when activated, opens the gates to the enemy. Most of these enemies at the gate depend on social engineering to effect their entry, just as the original Trojan horse did (it is believed that the Trojans worshipped Poseidon, who as well as being the god of the seas, was also the god of horses – a large horse would have been an object to be venerated). It’s impossible to go over all the social engineering techniques which are used, but the use of fake emails, directed at a particular target (spear phishing) is a common way, whereby an innocent party is precisely targeted with a message that requests sensitive information, or which invites the reader to open a particular web site or piece of software, perhaps linked with a hobby or pastime that the victim practices. Authority – given an official letterhead, or the electronic equivalent, most people find it easier to believe what is written below it (“At HMRC we have received your tax return, and require a few more details before presenting you with the final demand. Please click below to enter these details.”). On the other hand we have the classic 419 scams (which continues to attract victims at all levels), there are the West African princes, bank managers, lawyers, etc. who promise millions in unclaimed inheritances, compensation, etc. And of course, plain and simple greed. “That doesn’t get you into the computers, though,” objected Bobby. 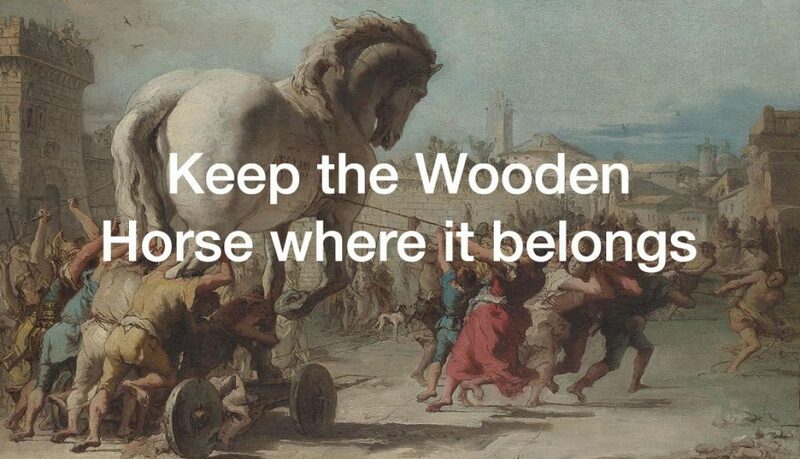 Make sure you keep the Trojan horses out of your organisation by educating and re-educating your staff on how to recognise phishing traps and scams (some anti-virus sites also offer anti-phishing training for organisations), by blocking suspect sites and also by establishing responsibility and procedures to deal with any possible breach. 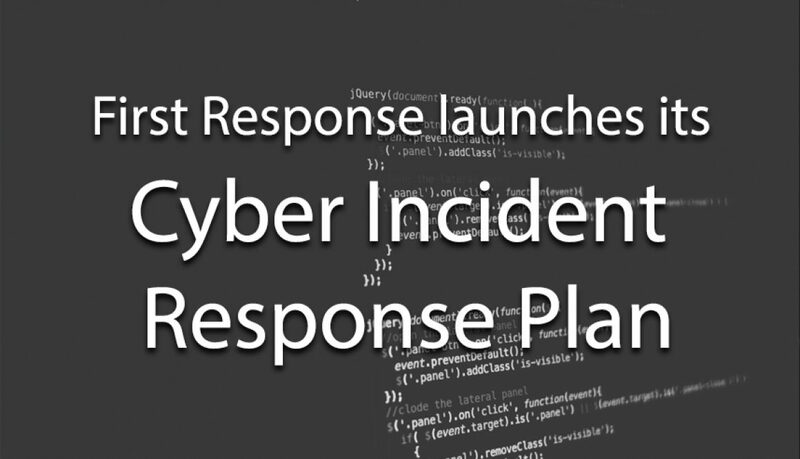 First Response can help you develop an internal capability with a CIRP (Cyber Incident Response Plan) – which also includes post-incident support and analysis from your personal Incident Response Specialist. If you were trying to fly out of Gatwick for your Christmas holiday in late December, you have our sympathy. One of the world’s busiest airports was disrupted by a toy helicopter – or something. The jury still seems to be out on who or what caused this chaos. Drones make the headlines at reasonably regular intervals – and we see pictures taken from them on our TV screens often enough. If a producer wants an aerial shot, it’s much easier (and cheaper) to hire a drone and operator than to charter a helicopter. The cameras on drones are often of very high quality, and are almost as controllable as one held and operated by a cameraman. The drone is much less disruptive than a helicopter, in terms of noise and almost everything else. These qualities have also endeared drones to criminals, who use them to fly drugs and miniature’burner phones’ into prisons. Standing outside the prison, the dealer guides the drone, loaded with its illegal and highly valuable cargo, to a specific cell window, where it is hooked inside, unloaded, and sent back, where the ‘return home’ function flies it back automatically into the waiting arms of its owner, who may make tens of thousands of pounds in profits from a single flight. Happily, once there’s a basic lead, it’s reasonably easy to put together a sturdy chain of evidence that will help to convict the drone operators. 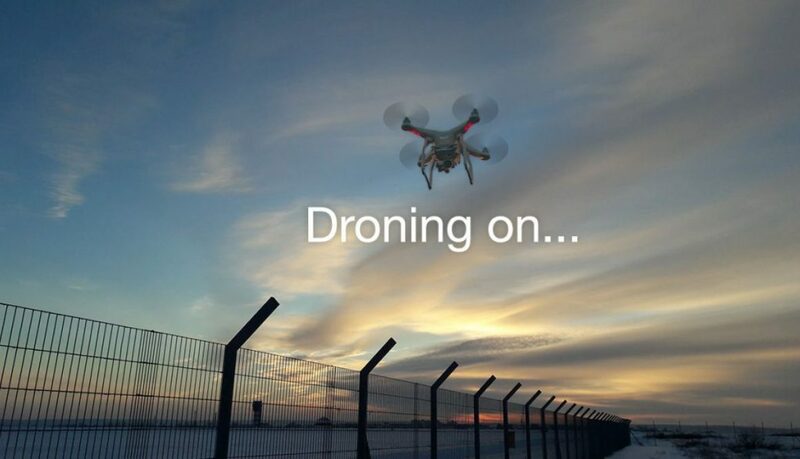 The majority of drones contain a camera, which records the flight on a memory card. One of the first things that anyone does with a new toy, such as a drone, is to have a play with it, and several crooks have had their features clearly captured on video by their own drones, as they fly them from their homes, as they get used to operating them. Drones also often include a GPS tracker. With time and date stamps, it can be shown that a drone was in a certain place at a certain time. When this data is linked to a mobile phone’s cell tower and GPS data, the likelihood that a certain person was operating this drone increases. Add to this CCTV images of a vehicle’s number plates, and the net is tightened. First Response specialises in linking evidence from different sources in this way, to provide a coherent and complete picture of the events surrounding an incident, and presenting this information in such a way that it can be used in Court as evidence. State-of-the-art analytical software allows the discovery and presentation of links within terabytes of data to be completed within hours rather than weeks. If necessary, we can provide experienced expert witnesses to give evidence in Court and provide clear explanations of how the results were obtained. Such digital forensic skills can be employed not just in criminal, but in family, civil, and corporate cases, where the ‘paper trail’ has gone cold, and the evidence resides in a number of different digital repositories. If you think that First Response’s skills can benefit you (or your clients), please get in touch so we determine how we can best assist you. A story has recently surfaced from Bloomberg about the supposed discovery of tiny ‘spy chips’ installed on servers constructed for an American firm (Super Micro) that sells to large, publicly-visible customers such as Apple and Amazon, as well as lower-profile customers such as the US Department of Defense, the CIA, and the US Navy. According to these reports, which have been denied by both Apple and Amazon, these tiny chips are capable of modifying the operating system of the servers, and allowing the servers to ‘phone home’ for further instructions. The existence of this alleged hardware hack has stunned many security experts, one of whom is quoted as saying “having a well-done, nation-state-level hardware implant surface would be like witnessing a unicorn jumping over a rainbow”. Whether or not a unicorn did ever actually jump over any rainbows is still in dispute, but what is interesting is the methodology that US intelligence agencies and a Canadian security firm are reported to have used to trace the provenance of this hack. As background, the servers in question were produced for a firm called Elemental Technologies, that creates video compression servers for, among others, Amazon, the CIA, the Church of Latter Day Saints (Mormons), and the adult film industry. The company producing them is Supermicro. However, Supermicro does not actually make these servers, but subcontracts the manufacture to fabrication plants: and the motherboards, on which the hacks are said to have been installed, are almost all created in China. information was gathered from communications intercepts, tracking phones and phone records of key players, and from human sources. It is reported that these firms were approached by individuals who claimed to represent either Supermicro or the Chinese government, who used threats and bribes to force changes to be made to the motherboard design incorporating the spy chips. These individuals are believed to be part of a special unit of the Chinese People’s Liberation Army specialising in hardware attacks. Happily, it is extremely unlikely that your business will be affected by this alleged act of espionage, even if it does turn out to be true. However, hacking and data theft, implemented by simpler and less complex means, do occur on a regular basis, and catching the perpetrators is not always straightforward. It often relies on a ‘join-the-dots’ technique, searching through gigabytes or more of data to identify and create connections, which lead to the identification of those involved in the data breach or cyberattack. First Response is experienced in using the world’s most advanced forensic tools to help organisations track down the methods and the sources of such attacks, and to set up defences against future attacks. Of course, prevention is always better than cure, and First Response is happy to work with you to create a Cyber Incident Response Plan which allows you to work together with us to prevent successful cyberattacks, and to mitigate the damage in the event that such an attack does take place. Has your personal data ever been involved in a data breach? How would you know if it had? Created in 2013, the ‘Have I Been Pwned’ site makes it easy for internet users to find out if their personal data has ever been compromised by data breaches. The site is effectively a database of 306 million previously hacked email addresses, making it possible for anyone to check the security of their online personal information. The site includes hacked data from household names such as Adobe, LinkedIn and Snapchat, informing victims of past breaches and notifying them if they are ever involved in new ones. 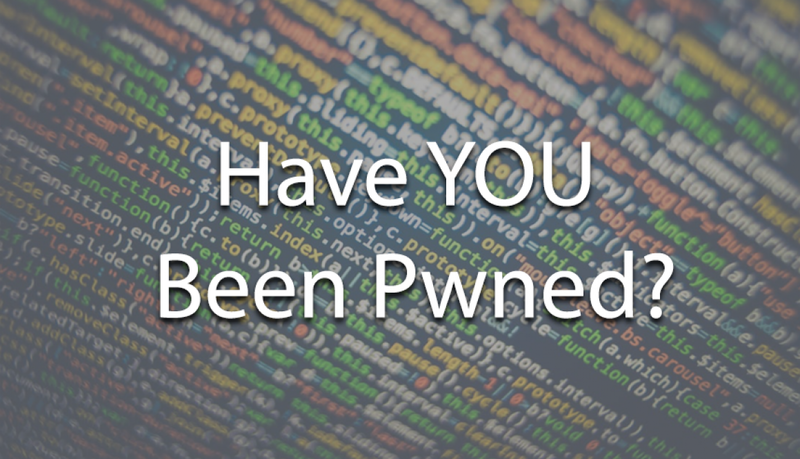 Initially a typo, pwned is a term derived from owned and is used amongst the hacker community to describe the taking over of a third party’s site. Founded by Australian Security Expert Troy Hunt, HIBP receives around ten thousand visitors each day. It was Adobe’s 2013 data breach that motivated Hunt to build the site, determined to give victims more control over their personal information. With data from over 3.9 billion accounts from 227 data breaches, it’s no surprise the site has over 1 million active email subscribers. By entering your email address into HIBP, visitors are given access to a list of all known breaches with data linked to that email address. In the site’s own words a breach is an incident where a site’s data has been illegally accessed and stolen by unauthorised attackers. Armed with this knowledge, users can subsequently reset their password for the potentially compromised email address, strengthening the security of their online presence. The site also notifies users as to whether this information has ever been pasted – a term used to describe the sharing of data within the hacker community on a wider scale. Additional information about the breach and the specific type of data involved make HIBP an exceptional resource for helping to keep your personal information secure. The site’s email subscription feature results in immediate notification should an organisation holding your email address be breached. HIBP ensures victims of data leaks are kept in the loop, often far sooner than the breached company will! Many of us reuse or use similar variations of the same password across multiple sites. If a password associated with your email address is known by an attacker they can potentially gain access to a considerable amount of personal data at an alarming speed. 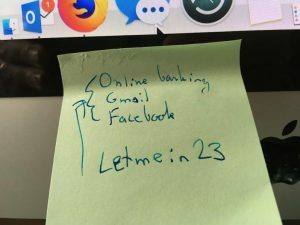 Armed with this, attackers will often try to login to the online email portal, in this case, Hotmail, using the password present in the stolen database – 75% of the time, they’ll be successful. 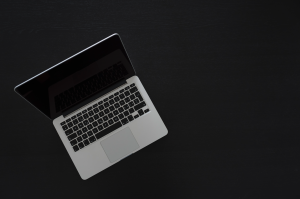 Once logged into your email account attackers quickly scour through Inboxes for credentials, creating a database of trusted individuals and organisations. To put this in context, a fake invoice or notification of a change to bank account details for payments could be sent by one of these ‘trusted sources’ resulting in a fraudulent transaction and subsequently, theft. Data breaches are becoming increasingly common, with customers often not being notified by companies for a significant amount of time after the attack. Equifax is one recent example of this, where breach notification didn’t happen until months after the breach was detected. HaveIBeenPwned.com is a powerful tool for cybersecurity, find out the security of your personal data for yourself by visiting https://haveibeenpwned.com. Following our previous post which discussed the basics of GDPR, this second article examines the qualities of an effective Cyber Incident Response Plan (CIRP) and what steps your organisation can put in place to ensure optimal preparation for the changing data-protection laws. If you haven’t read the first article in this series, the link is here – we recommend reading it to help put the information here in context. 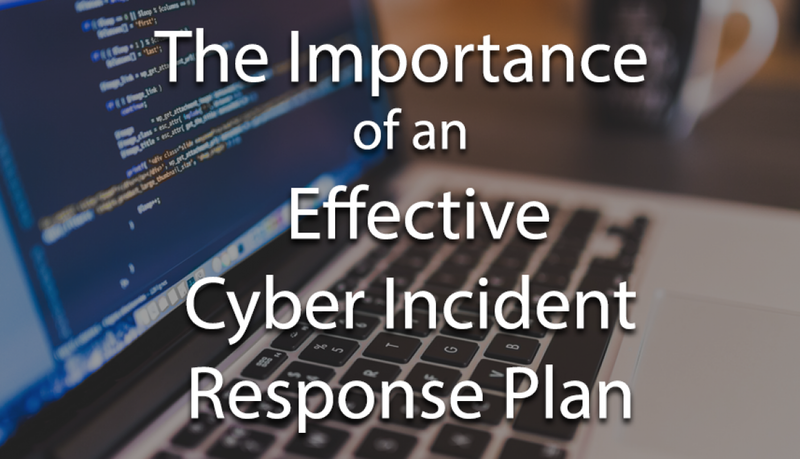 What is a Cyber Incident Response Plan? By definition, a CIRP is the set of formulated steps an organisation has put in place to follow should they experience a data breach incident. The incident could be something as small as the administrator account for a service being locked out, or a member of staff being accused of data theft, right through to a full-blown system’s compromise by external attackers. The CIRP sets out who should do what, and when, to limit the breach, exclude and identify the attackers and remediate the system. As part of GDPR, the CIRP should also include clearly defined steps around data loss notification to the ICO. Why is a CIRP important? Despite best-efforts, data-breach incidents are always going to occur. The controllable aspect is how your company prepares itself to deal with these events. The importance of a CIRP has never been greater – without one, an organisation’s IT systems, day-to-day operations and business reputation are all at significant risk. In the event of a data breach incident, a company without a CIRP will typically experience a reduced understanding of the complexity and scope of the threat and therefore how to respond effectively. In recent months, household names such as Talk-Talk, Equifax and even Deloitte have shown the speed at which data breaches can spiral out of control if an effective IR plan is not in place, or if it is not handled in the correct way. With a well thought out CIRP it is possible for an organisation to suffer a significant breach or other data related incident, handle it well and move on with minimal impact. What comprises a good CIRP? To build an effective CIRP you need to be aware of where your information assets reside, the protections surrounding them, the potential impact of losing them and the threats the information assets face. This risk awareness will provide the information security framework for your unique requirements, highlighting the actions and controls that need to be put in place. This part is essentially a standard ISO27001 risk assessment exercise, the CIRP will then take the output of that mini-assessment and provide a framework for handling incidents that threaten the organisations information assets, using a common-sense combination of human structures, workflow processes and staff training. For a CIRP to be efficient it must encompass all potential sources of data loss, you need to be as prepared for a network intrusion as you are for an employee leaving a file on the bus. Other topics typically covered by your CIRP may include business impact mitigation, cyber insurance integration, crisis decision making and media relations. Another important quality of an effective CIRP is the codified interaction with stakeholders, internal teams like the Board and external ones such as law enforcement, regulatory bodies, and of course the ICO. Your first step should be the mapping out and locating of all Personally Identifiable Information (PII) held by the organisation. It is important to include any data held outside of your perimeter in this initial step, for example, data in external hard-drive storage, off-site backups, cloud storage and so on. The IR team needs to be comprised of senior staff with the authority to make decisions without the need to have these ratified by others. Ideally, heads of departments who report directly to the CEO or the Board. The composition of the IR Team will include obvious candidates, such as the Head of IT and the Chief Information Security Officer – but it also has some less obvious members including the Head of HR, the Head of Public Relations or Marketing and of course someone from Legal. The IR Team should, where possible, have an odd number of members to ensure that decision deadlocks never happen. It is also important for at least one Board member to be on the team, not only to give the team the authority it requires to get things done but also to act as a liaison with the Board so they are aware of the ongoing nature of the incident as it unfolds and can take business related decisions as appropriate. Each organisation is different – not every organisation has a CISO, for example. A partnership, such as a law firm won’t have a Board, but equivalents exist and the structure is flexible enough to fit the vagaries of modern organisational hierarchies with a little imagination. A clear workflow of actions will provide the IR Team with a step-by-step guide put together in a calm, considered manner beforehand of what to do in the case of a data breach incident. These are typically categorised by incident-type and comprise an ever-growing library of processes to follow to ensure a successful outcome. They will minimise confusion and panic and provide a universal action plan. The most effective way to pick up on any issues with your CIRP is testing. By simulating situations which could happen in real life to cover technical controls, employee’s responses, processes and policies, the testing process can be made as accurate as possible. It is often helpful to engage an external specialist company to come in and run this exercise with you, allowing you to focus on the IR process rather than the logistics of the exercise itself. To prevent what starts as a minor inconvenience from developing into a corporate crisis, it’s critical to have both an IR plan and immediate access to an IR specialist who is able to provide expert advice and guidance with a simple phone call. Setting this up may seem like a huge task especially with GDPR laws coming into effect so soon, but First Response is here to help. How can First Response help? First Response are incident response specialists. We can provide a scaled response strategy to assist your organisation in preparing for and responding to cyber-security incidents, balancing internal and external expertise and resources. 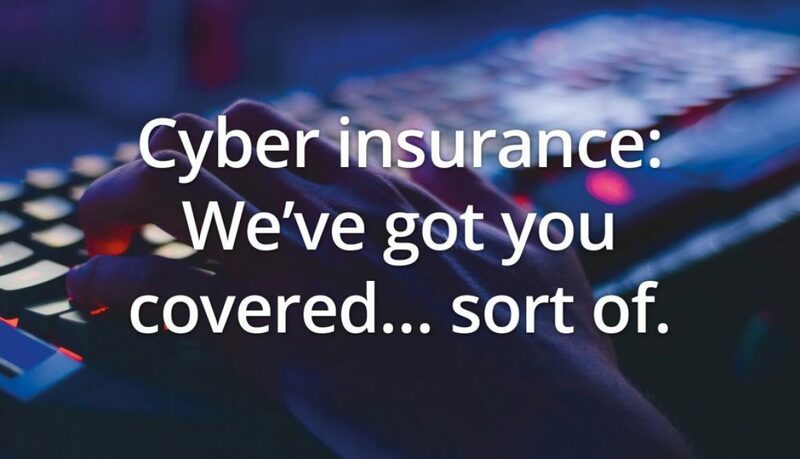 We offer three example levels of Cyber Incident Response Plan: Bronze, Silver and Gold, providing a flexible and appropriate solution for the size and nature of your organisation. Each level of our plans provides you with two of our Incident Response Specialists who visit your premises to meet your key management, and IT staff to discuss your business processes, your data workflows, and the nature of your IT infrastructure and the role IT plays in your day-to-day operations. 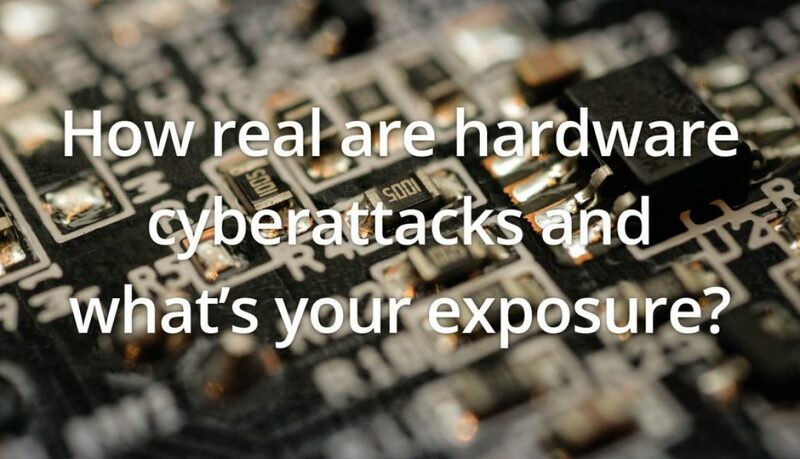 We have encountered a wide range of attack and data loss scenarios over the years, and keep ourselves up-to-date with the latest attack techniques and threats. First Response deal with incidents every day and are practised in which responses are most appropriate in any given situation. We will conduct a review which includes an examination of your existing information security policies and procedures, together with your business continuity and disaster recovery plans. The review helps us (and you) to develop a clear, up-to-date, and complete understanding of your network topology and defences. In the event of a cyber-security incident, we are able to hit the ground running and start the process of remediation smoothly and efficiently. A direct 24/7 line of contact with your First Response IR Specialist who can provide advice and guidance in the event of an incident. If your Incident Response process is invoked we can make arrangements our IR Team to attend on-site if necessary. The GDPR laws coming into effect in May next year mean an effective response to data loss is now an essential component for both the survival and continued growth of any organisation.